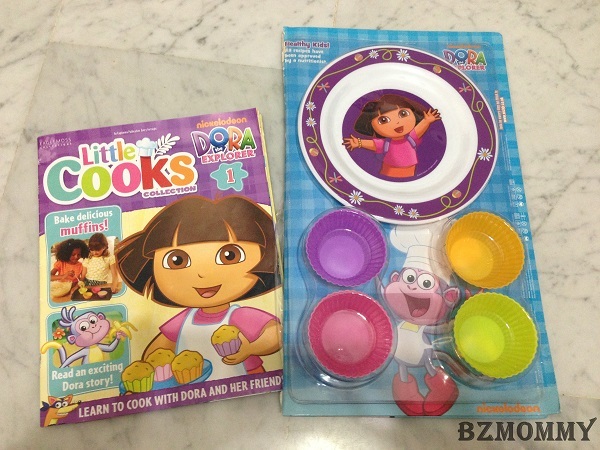 Won the Dora Magazine Issue 1 from MadPsychMum and the 2 girls were thrilled. 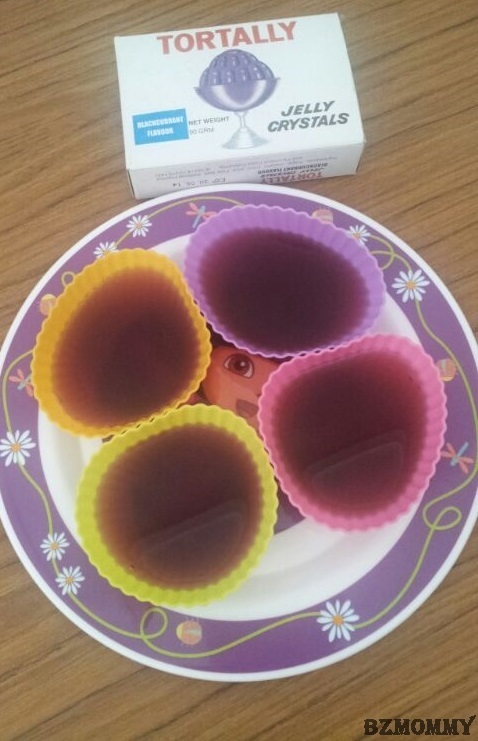 Instead of using the silicone cups to bake muffins as suggested by the book, we decided to make jelly instead. Ta-da! Fast and easy! Simple way to engage the kiddos. 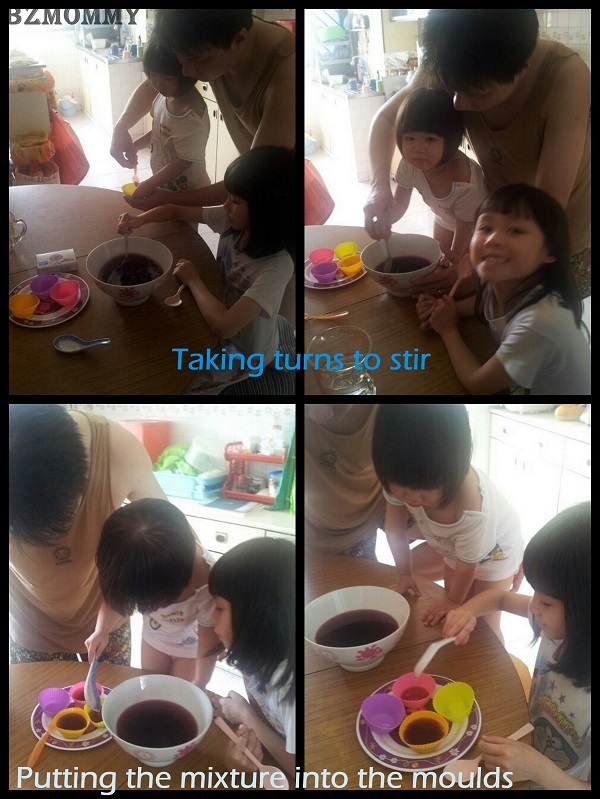 Dawn & Eva enjoyed the activity and the fruit of their effort. They are proud of their work and they only want to eat the jelly from the mould which they had filled the mixture with (Dawn’s is pink and Eva’s is green). 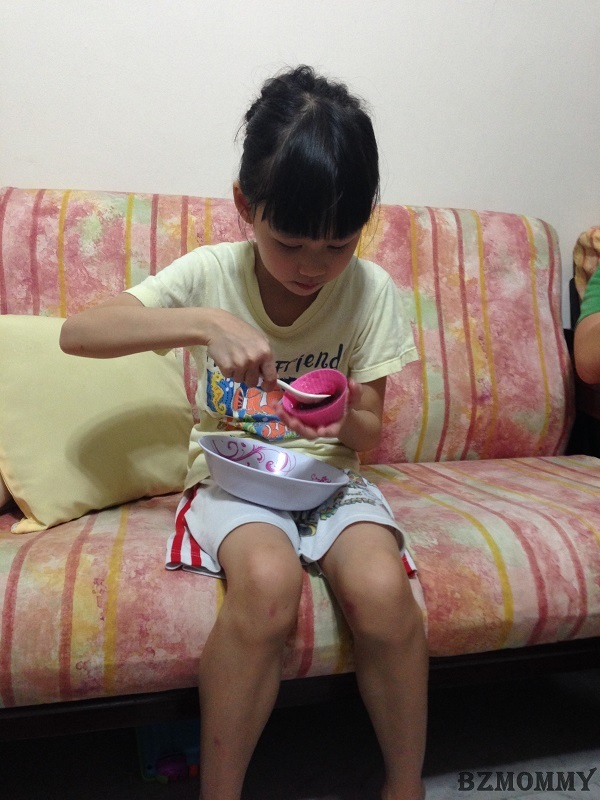 This entry was posted in BZ Kitchen, Bzmommyhood, Child Friendly Recipes, Dawn, Eva, Fun! 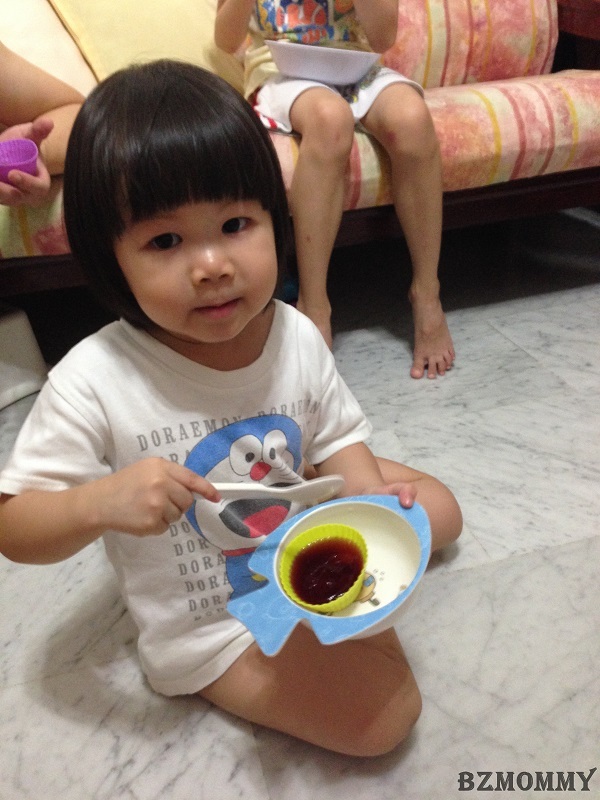 and tagged Kids-Friendly Activities, Kitchen Fun Time.